يقع Red Tussock Motel في City Center, تى أناو, هو خيار شائع بين المسافرين. إن موقع الفندق الاستراتيجي، الذي يبعد 0.1 km فقط عن مركز المدينة، يسمح للنزلاء بالوصول سريعاً وبسهولة إلى العديد من الوجهات المحلية المثيرة. يوفر الفندق بفضل موقعة الجيد وصولاً سهلاً إلى أهم معالم المدينة.
. إن Red Tussock Motel حريص على توفير الراحة للنزلاء، فلا يوفر الموظفون جهداً في تقديم أفضل الخدمات وضمان حسن الاستقبال. هذه بعض الخدمات الموجودة في هذا الفندق: واي فاي مجاني في جميع الغرف, مرافق مخصصة لذوي الاحتياجات الخاصة, واي فاي في المناطق العامة, صف السيارات, خدمة الغرف. في الفندق غرف نوم يتجاوز عددها 13، كلها مجهزة بعناية وجمال وبعضها مزود بـ تلفزيون بشاشة مسطحة, اتصال لاسلكي بالإنترنت, غرف لغير المدخنين, تدفئة, مكتب. إن حديقة هو المكان الأمثل في الفندق للاسترخاء وتفريغ طاقتك بعد نهار طويل. 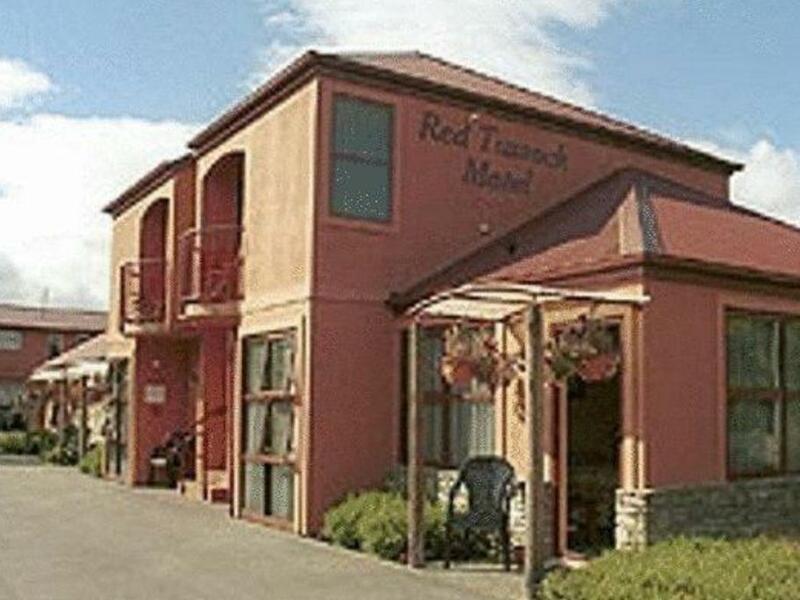 استمتع بخدمات لا يعلى عليها وعنوان ذو اعتبار في Red Tussock Motel . This motel has clean, spacious rooms with a lovely owner and staff. I booked my room on the wrong date, but they still honored my reservation. They offered helpful information on Milford Sound and the weather there. I would highly recommend to anyone passing through Te Anau for Milford Sound! Well equipped with a nice view of the lake. Owner and staff very helpful and cheerful. Te Anau is a great base to view the Fiordlands and this is so much quieter than Queenstown. So if you like quiet and views this is the place to be. The motel offers fresh fruit and milk. Very considerate. The receptionist is very nice and easy going. The motel is a little far away from the town center. Approximately 10-15mins. The Red Tussock Motel is well situated on the lakefront near the park and bird sanctuary. Robin maintains his property to a very high standard with many unexpected extras such as a fresh fruit bowl in the room. Very fresh and clean rooms, well furnished and maintained. It was a pleasure to stay here, and we would happily return if we come back to Fiordland. We enjoyed our stay here. The studio was clean and cozy. The kitchen was well equipped. The staff was friendly and explained thoroughly about the studio, nearby restaurants and places of interest. The location is across the road to the lake. This place is one of my favourite hotel throughout my 2 week vacation in New Zealand. I would highly recommend this place. The staff (i believe he's the owner) is so friendly and takes care of us very well. He gave us good recommendations for restaurants and gave good advices about driving to Milford Sound. Overall a great place with great view of the lake just in front of the hotel. As I said, it would be great if it could be cheaper! Very good and adequately equipped place. What made the stay so great was the exceptional service provided by the staff. He even woke up early to help us check the weather conditions before we departed for our early morning cruise on milford sounds! We stayed here for 2 nights. 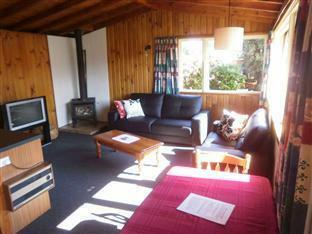 The motel is just across the road from the lake and a short drive to the town centre. Overall, it was a very comfortable stay and the host was very efficient. If you are staying more than 1 night and would like your room serviced, please tuck the "Please service room" door knob hanger in the door. We did not do this the apparently, the wind had blown the sign off and the cleaners were unsure if the room was to be serviced or not. We noticed it happened next door to us as well. We stayed here to visit Milford Sound. Convenient location. The room was well equiped, and clean. The owner was very helpful to plan our trip. Strongly recommend. This was a lovely lakeside hotel within easy walking distance of the centre of town and great lake views. Can't rate food as I didn't eat at the hotel. We enjoyed the hotel and the host was friendly, helpful and interested in our well being while in TeAnau. He had an inviting personality that made us smile. Fully equipped. The apartment is actually a premium villa. The host is helpfu!! An absolutely recommended motel! Nice place nice view nice staff. We one person sleeping a queen size bed... Its absolutely a comfortable one. The kitchen is fully equipped, if you don't want to eat outside, it's also a good choice to cook. Robin was extremely helpful and friendly. Afraid that we might not be used to the cold, Robin offered to run the heater earlier in the day so we could come back to a warm and cosy space. The 3 nights spent there was comfortable - can't ask for more! A good stay for 2 nights. Comfortable room with free unlimited wifi provided. Robin, the owner, was very helpful. We had room one, close to the road, so a little noisy. However, great place. Everything you could need, and in a great location. Very clean. Nice staff. Take a cold bottle of wine, or two, and sit by the lake! I wouldn't bother with the moose pub. There food wasn't great!